Dr. W. Clyde Ikins is a man of many talents and far-reaching vision, who not only dreams dreams, but who can make dreams come true with his perseverance, imagination, patience and undying love for all things bright and beautiful. Witness the enviable environment that surrounds him--a lovely talented wife of 55 years, and a stunning ranch home with an abundance of gardens, lakes, and ponds that literally explode with an unbelievable collection of flowers and plant life. Australian black swans, mute white swans, and mallard ducks glide silently and slowly through the waters of two large spring-fed lakes bordered by rows of aquatic irises and other plant life. The extensive acreage of the Ikins ranch land called "El Rancho Encantado" is carefully fenced to protect the delicate flower gardens and waterlily ponds at the homesite from exotic game and other farm animals that roam the land they call home. It is only natural that this man, who has excelled in so many fields has a great respect and love for the land and environment, as he was born on his family's ranch in far West Texas. As a child, he walked three miles to a one-room school and his youthful years were spent working with animals, plants and living close to nature. In high school he became interested in chemistry and was a laboratory assistant to his chemistry teacher. His interest changed direction later, however, at the University of Texas when he decided to major in geology. In 1937, he was elected a member of Sigma Gamma Epsilon, an honorary geological fraternity and served as a student assistant in the Department of Geology. A highlight of the summer of 1937 occurred when he accompanied one of his geology professors of the University of Texas on a geological tour to explore and study the Andes and both coasts of South America. In 1938, Dr. Ikins, while a botany student, became interested in irises. He soon had his own iris collection and started hybridizing. He also received his B.S. degree with honors and married pretty and popular University of Texas coed, Bernice Wilder of Corpus Christi, Texas. During the summer, he worked for the U.S. Geological Survey and Texas Water Commission based in Wimberly, Texas--studying ground water. In the summer of 1939 he worked for the University of Texas Bureau of Economic Geology in Austin, Texas. It was in Austin where he saw his first waterlily pond and was so enchanted he build his own. This was the beginning of his continuing love affair with aquatic plants. This also was the year that Dr. Ikins was the first recipient of the Joseph H. Cullinan Scholarship in Geology, a scholarship established by Governor William Hogg for the University of Texas. While pursuing his Ph.D., Dr. Ikins became acutely aware that certain plants are adapted to certain geological formulations and felt a strong challenge to explore further into this field. In 1940 he was awarded the William H. Townsend scholarship in geology at Harvard University, but since war was imminent he decided to finish his doctors degree at the University of Texas at Austin. As a graduate student, Dr. Ikins took numerous trips to the Big Bend area of West Texas to collect and study the extensive array of native plants in the area prior to its becoming a park. He became most interested in cacti and succulents. In 1941, at the age of 25, Dr. Ikins received his Ph.D. with a major in Geology and a minor in Botany. A year later, based on research he had done, he was elected a member of Sigma XI, honorary scientific research society. In the summer of 1941 he worked for the Black Mesa Mining Co. of Terlingua, Texas, exploring for cinnabar, a mercury ore. In September he was employed by the Tidewater Associated Oil Company of Houston, Texas as a Geologist. He was responsible for covering the states of Mississippi and Louisiana where he was captivated by the beautiful native iris species that grew in the swamps. Due to his career in the oil business, he was frozen to his job with Tidewater by the War Manpower Commission for the duration of the war. After the end of World War II, Dow Chemical Co. asked Dr. Ikins to join its staff and he served as Geologist from 1946 to 1950, and Chief Geologist from 1950 to 1954. During his oil industry years, Dr. Ikins was a member of the American Institute of Mining and Metallurgical Engineers, Houston Geological Society, American Association of Petroleum Geologists, and was a Registered Professional Engineer in the State of Texas. In 1947, a baby daughter, Linda Sue, was born to the couple. After his tenure with Dow Chemical Co., Dr. Ikins chose to become a geological consultant and independent oil operator. In 1961, Dr. Ikins decided to move his family to the Davis Mountains of West Texas to his ranch "El Rancho Encantado." In this lonesome territory in Jeff Davis County--one person per square mile--the Ikins built their handsome hacienda in the northern portion of the Davis Mountains near Kent, Texas. This outstanding home was featured at San Antonio's HemisFair 1968 as an authentic ethnic Spanish home. The exterior was made of mission stone, a block that looks like adobe, and the mission bell in the tower could be heard for miles across the vast land. This was the first "El Rancho Encantado." The ranch included waterlily ponds and tropical patios inside and outside the home. Hundreds of species of unique cacti, tropical waterlily ponds and 2,000 varieties of irises flourished. His fame spread and he was elected an accredited garden judge in the American Iris Society. Friends came from far away places to this stunning oasis for visits. Extensive stock roamed the land--1,000 mother cows and calves and 2,000 sheep and goats. In previous years, Dr. Ikins had been active in developing the Brangus breed of cattle. He was a founder and is a life member of the American Brangus Breeders Association. Also, during the years 1962 to 1981 in West Texas, Dr. Ikins served as Precinct Chairman and Election Judge. He was elected a National Representative in Washington to represent the Federal Land Bank Associations of Texas. In 1979, he was elected a Director of the Farm Credit Banks of Texas. He served as Director from 1979 to 1985, and was Chairman of the Board in 1982 when the bank moved its headquarters from Houston to Austin. He helped negotiate the sale of the Federal Land Bank Property in Houston which sold for the highest price for Houston real estate at that date at $750 per square foot or $32,670,000 per acre. "In recognition of your outstanding dedication and service to the Farm Credit Banks of Texas while a member of the Board of Directors. You have served your peers well in various position at the local district and national levels as a representative of Farm Credit Banks and the entire Agricultural industry. The system has benefited greatly from the contributions you have made during your tenure with the Farm Credit Banks. We salute you for the outstanding record of achievement." In 1981, the Ikins moved to the Texas Hill Country near Bandera to be near their daughter and grandchildren. 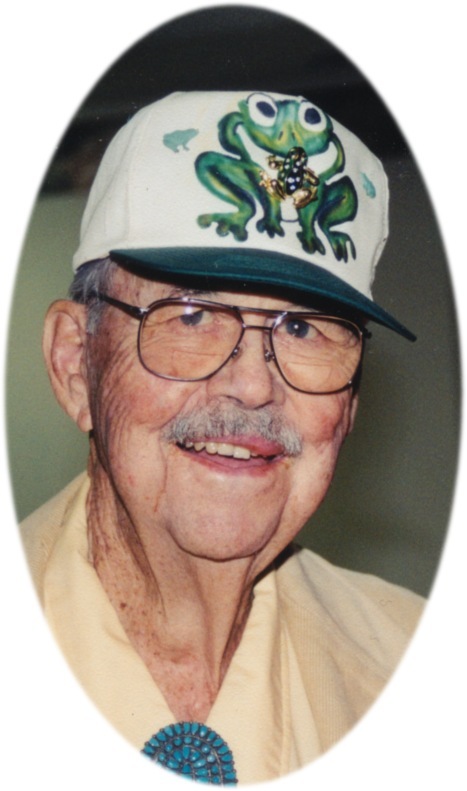 At this time he gave his extensive cacti and succulent collection from all over the world to his friend, Dr. Barton Warnock, to be set up at a desert botanical garden in the Big Bend area of Texas for study by visiting Botanists. By this time, the Ikins had dedicated themselves to full time gardening and experimentation with exotic plants and flower hybridization. They chose an 850 acre ranch near Bandera, Texas with two spring-fed lakes where they added exotic game animals to the already thriving population of white-tail deer, wild turkeys, English mute white swans, mallard ducks and other small animal life. Word soon spread throughout the country about the spectacular ranch home, gardens and collection of plants, and soon the world was literally knocking at their door to see this charming oasis in the pretty hill country of Central Texas. The Ikins' warm and gracious hospitality and generosity became a legend as garden clubs, camera clubs, flower growers, artists and birders asked permission to visit and view the lovely setting. The Ikins were very concerned about the loss of the beautiful live oak trees that were dying from Oak Wilt Decline. Knowing that the disease killed only the red oak family, they began raising members of the white oak family such as the Burr Oak ( Quercus Macrocarpa ) and the Chinkapin Oak (Quercus Muhlenbergii). They have given away hundreds of these trees to many friends, to the Texas Highway Department to plant along the highways and in the parks of the area, the San Antonio Zoo, and the Bandera Cemetery Association. Recently, a friend asked Dr. Ikins if he had a waterlily that was fragrant enough to synthesize and make into a perfume. The experiment was a success and soon the Ikins were the recipients of the first waterlily perfume, Nymphea. Dr. Ikins is a founder and charter member of the International Waterlily Society (IWLS). The first meeting was held in 1985 at the famous Longwood Gardens at Kennet Square, Pennsylvania. "The IWLS is a non-profit organization of multitudinal membership dedicated to the furtherance of all aspects of water gardening. Membership includes new water gardeners anxious to learn, experienced gardeners anxious to share, commercial growers, hybridizers, professionals from leading botanical gardens and colleges, and others who appreciate the delights in the landscape." In 1992, aquatic plant growers from all parts of the world came to Texas for a symposium in Houston and San Antonio. Several hundred of the growers came to view and wander through El Rancho Encantado's Lakeside Gardens with its vast courtyard, patios, and rock pools with rippling waterfalls and fountains. Chatter in many languages was heard as members explored the veritable paradise, exclaiming over the 180 varieties of waterlilies, and aquatic plants such as Louisiana iris, lotus, pickerel, water chestnuts, bullrushes, water hyacinths, water cannas, snowflakes and other bog plants. An enchanting sight is a visit to the gardens after dark when special lighting reveals an array of colorful night blooming waterlilies, bullfrogs and miniature green frogs. Dr. Ikins specializes in growing unique plants such as the Victoria Amazanica, or Giant Water Platter, that is native to tropical South America. The sturdy leaves that grow to six feet in diameter, resembling a cake pan, reputedly can support a 150 pound person. The huge Ikins greenhouse houses plants that must be protected during the winter months. Outside, over 100 circular concrete tanks are used to grow hardy aquatic plants. Dr. Ikins is in popular demand as a speaker at conferences and trade shows due to his experience as an aquatic landscape specialist and water plant grower. He holds symposiums at the San Antonio, Texas Botanical gardens and has given the Botanical Gardens, the San Antonio Zoo and the San Antonio River Walk waterlilies and other aquatic gardeners by teaching classes, presenting special papers and speeches. He serves as a garden judge in the American Iris Society. Dr. Clyde Ikins, a man acclaimed as the world's foremost waterlily and iris authority, is still serving his community and fellow man along many paths with his untiring energy, unselfish love and fellowship, and devotion to protecting and enhancing the beauty of our fragile environment. 1941 Ph.D. at University of Texas - Dissertation "Stratigraphy and Paleontology of the Walnut and Comanche Peak Formations of Central Texas"
1981 Moved to Bandera, Texas ranch "El Rancho Encantado"
1985 Charter and Founding member of the International Waterily Society First meeting at Longwood Gardens gave paper "Water Iris" which was published in 1986 June and September issues of "Water Garden Journal"